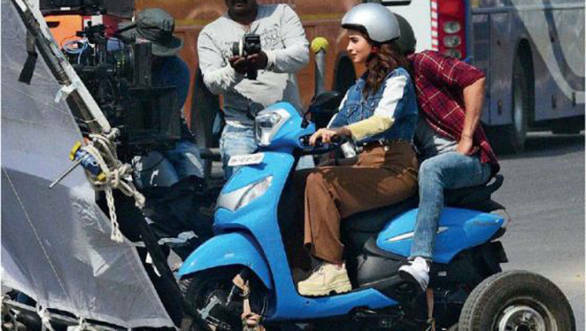 The upcoming Hero Pleasure was spotted with its brand ambassador, Alia Bhatt while filming for its television commercial. The spotted scooter sports the colour blue and gives away the newly designed bodywork. The new scooter gets a bold headlamp assembly and redesigned bodywork upfront. The headlamp assembly houses newly designed headlamp elements and we expect the scooter to be equipped with DRLs. The front body panel is more flared and pronounced than before and sports a silver finished insert. The side panels of the scooter have undergone change as well and the design tappers by the rear end of the scooter. The new scooter could have lesser seat height than the current model to aid the shorter riders. With the cosmetic changes, the scooter could also receive a newly designed instrument cluster with added features. Mechanically, the scooter is expected to be compliant with the soon to be implemented emission norms. 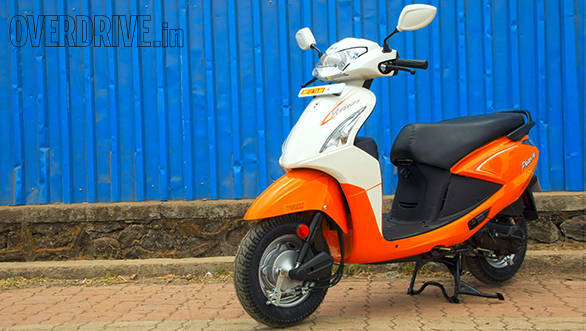 Apart from the compliance, we expect the Scooter to be powered by the same 102cc engine producing 7PS and 8Nm of torque mated to a CVT (automatic) gearbox. The update could bump the price of the scooter by Rs 4,000 and the 2019 Hero Pleasure is expected to be priced Rs 55,000 ex-showroom India. This price point will put the Hero Pleasure in the same market space as the TVS Jupiter and the Honda Activa 5G. Expect the new scooter to break cover later next month. Image credit - Sachin Haralkar from Mumbai Mirror. Tags: hero | Hero Pleasure | Alia | Alia Bhatt | Alia Bhat | Bhat Alia | Pleasure Hero | Hero Motorcorp | motorcorp | scooter | new scooter | upcoming scooters | Honda Activa 5G | Honda Activa 6G | Honda Activa | activa | Scooty | Scooty pep.